In the simplest terms, asset allocation is the process of investing in different types of investments. You’ve heard the motto: “Don’t put all your eggs in one basket.” The proper mix of investments depends on your risk tolerance, your investment goals, and your time horizon for each objective. Again, everybody is different! Your portfolio and investments should be treated differently also! For illustration purposes only - does not represent the allocation of any particular model. This hypothetical is used for illustration purposes, and assumes a straight-line return over the defined period. Actual results would vary. 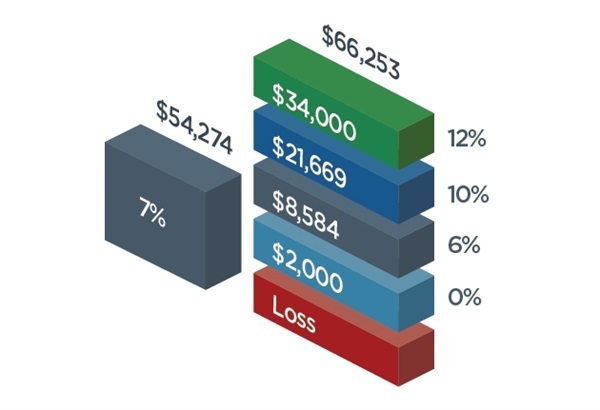 Results are not guaranteed and an investor could lose a portion or all of their money. 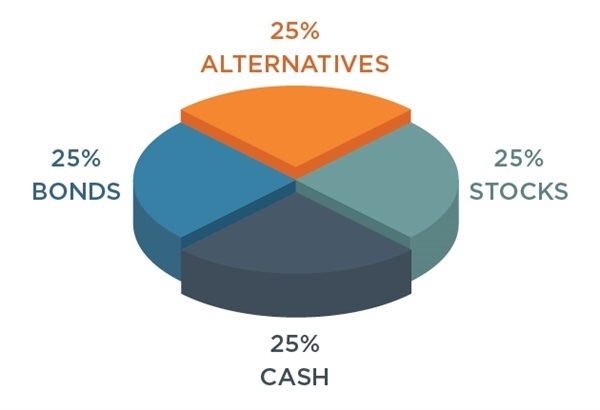 Enhanced diversification comes with using investments that are non-correlated to one another. In other words, using investments that work differently in different types of market conditions. This may give you a better chance to make money in rising or declining markets and potentially protect assets during market declines. Think of it this way, if you were heading outside for the day, you would check the weather forecast. Do you need sunblock or an umbrella? If you do not know what the day will hold, you may bring both with you. Investing can be the same way. Some markets rise while other fall. An enhanced diversification model gives you both sunblock and an umbrella.